Jourdan Sherise Dunn is a British fashion model. She was the first black model who after more than a decade walked the ramp at Prada and featured in Forbes list of ‘top-earning models 2014’. 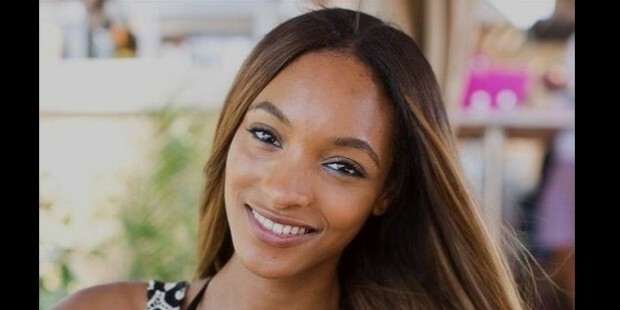 Jourdan Dunn was selected as Maybelline’s brand ambassador in 2014. She was named an ‘icon’ by models.com. Dunn bagged the "Model of the Year" award at the recently held British Fashion Awards at the London Colesium amidst resounding applause. 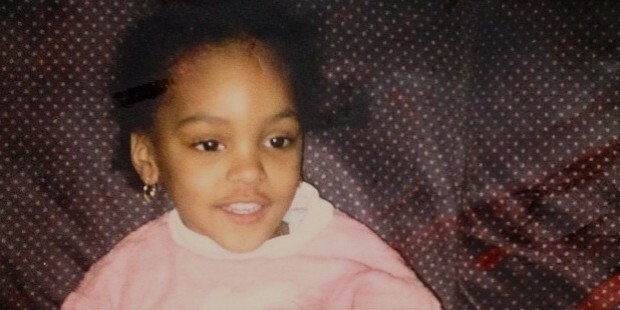 Jourdan Sherise Dunn was born 3 August 1990 in the suburbs of Greenford, West London. Her mother was a receptionist at Grenadian Heritage. Dunn has two younger brothers. Her mother brought her and her brothers up single-handedly. Dunn was just 15-years old when she got her first offer for modelling by a Storm Model Management agent. Jourdan Dunn debuted in her modelling career on the international ramps in fashion shows held in New York in 2007. She ramp walked for Polo Ralph Lauren and Marc Jacobs. Dunn participated in 75 fashion shows in 2008 just a year following her debut as a fashion model. Success was sweet on her, as she created her own niche in the fashion industry. She was coveted by most of the elite designers; Valentino and Louis Vuitton. Dunn appeared as a "new star" in British Vogue. She was ranked among the top 10 newcomers by Style.com. Dunn had the “wow-factor”! Moving from strength to strength, she was featured on Vogue Italia’s cover page. The issue was dedicated completely to black models. Dunn appeared in several ‘Vogue’ magazines, Antidote, Ponystep, Luella and The Sunday Times Style among a few. She was featured eight times in ‘D’. Her height and style of walking made her the talk of the fashion world. From ramp-walking for prestigious fashion labels to being the face of Rihanna’s collections for River Island, Dunn campaigned for Burberry, Calvin Klein, Yves Saint Laurent, DKNY, Victoria Secret, Pepe jeans and Saks and Tommy Hilfiger among others. Dunn modelled till her sixth month of pregnancy. She was back to dazzle the world of fashion within 10-days of her delivery. Dunn’s career saw another high when she displayed ‘bespoke fashion’ designed especially for the closing ceremony of Summer Olympics 2012. She debuted for the fashion show of Victoria Secret in 2012. Dunn was selected as the ‘face’ of Maybelline New York in 2014. Her first brand was the "Go Extreme Mascara". Dunn ventured into the world of music and was spotted in music videos for ‘XO’ and ‘Yonce’ from Beyonce. She is the host of “Well Dunn”, a cooking show aired on television. Dunn was rated among the ‘top earning models 2014’ by Forbes. She was selected as an ‘icon’ by models.com, following the fact that she featured on their list of ‘Top 50 Models Women’ for seven years in a row. Dunn was honoured the ‘Model of the Year’ award by Harper’s Bazaar Women of the Year. The year 2015 has placed Jourdan Dunn on a pedestal and a separate league altogether. She was bestowed the title of "New Super" by models.com for having set new standards of modelling and becoming a brand herself. Dunn’s charitable endeavour was recognised at the ‘Glamour Women of the Year’ Awards 2015 by bestowing upon her the "Inspiration Award". She held various awareness campaigns for sickle-cell anaemia. She was very vocal in her efforts for ‘diversity’ in the modelling fraternity. The stunner, Dunn bagged the "Model of the Year" award at the recently held British Fashion Awards at the London Coliseum amidst resounding applause. This is the second time that she has grabbed this prestigious award. The first was in 2008. Jourdan Dunn has a son Riley. His father was arrested after his birth. She takes care of her son single-handedly. Dunn is a role model for single mothers as she has struck a perfect balance between parenting and maintaining a flourishing modelling career. Her son suffers from the blood disorder sickle-cell anaemia. Dunn bagged the "Model of the Year" award at the recently held British Fashion Awards at the London Colesium amidst resounding applause. This is the second time that she has grabbed this prestigious award. Dunn was honoured the ‘Model of the Year’ award by Harper’s Bazaar Women of the Year. She won the ‘Inspiration Award’ for the ‘Glamour Women of the Year’. Dunn was shortlisted for the British Fashion Award in 2012 and 2014. Dunn was rated among the ‘top earning models 2014’ by Forbes. She was selected as an ‘icon’ by models.com, following the fact that she featured on their list of ‘Top 50 Models Women’ for seven years in a row.